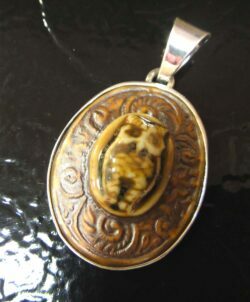 Our carved agate cameo pendants have amazing details! Carved from blue and white banded agate in Germany, this petite pendant features a detailed image of a cherub angel with dark blue hair and wings. 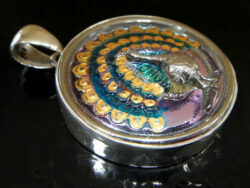 Our carved agate cameo pendants have amazing details! 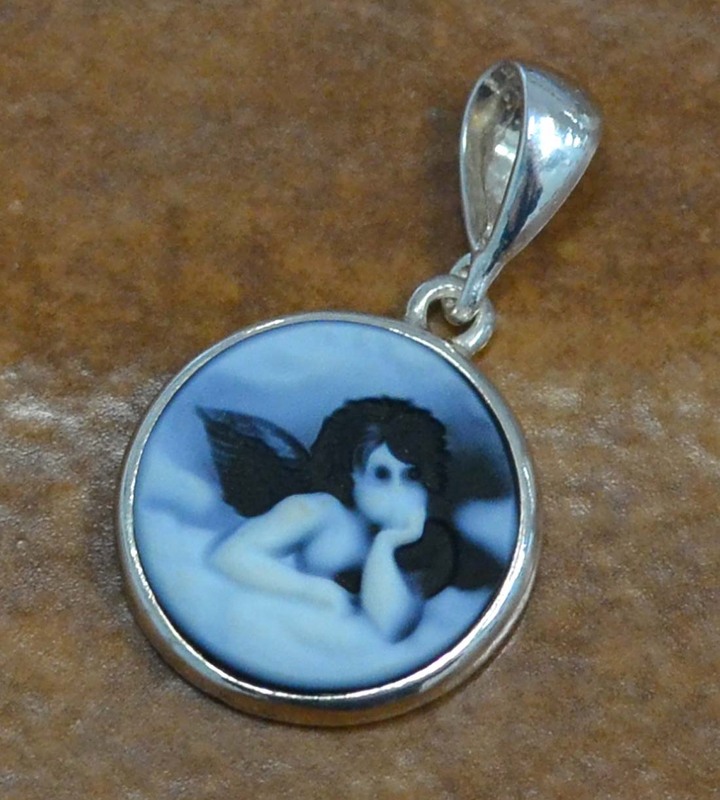 Carved from blue and white banded agate in Germany, this petite pendant features a detailed image of a cherub angel with dark blue hair and wings. 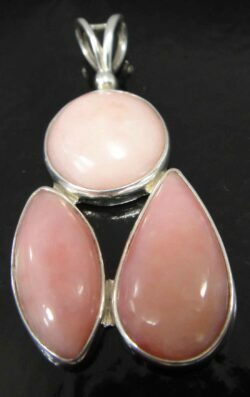 The pendant features a large bail (loop for chain) which allows it to work well with most styles or chains or cords (not included) or as a focal bead for your own unique beaded design. 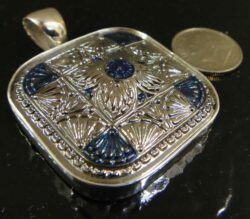 The pendant is stamped on the back with “925” so you can rest assured you are getting genuine .925 sterling silver jewelry. This round pendant measures approximately 1.07” long (including the bail). 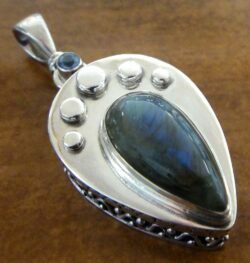 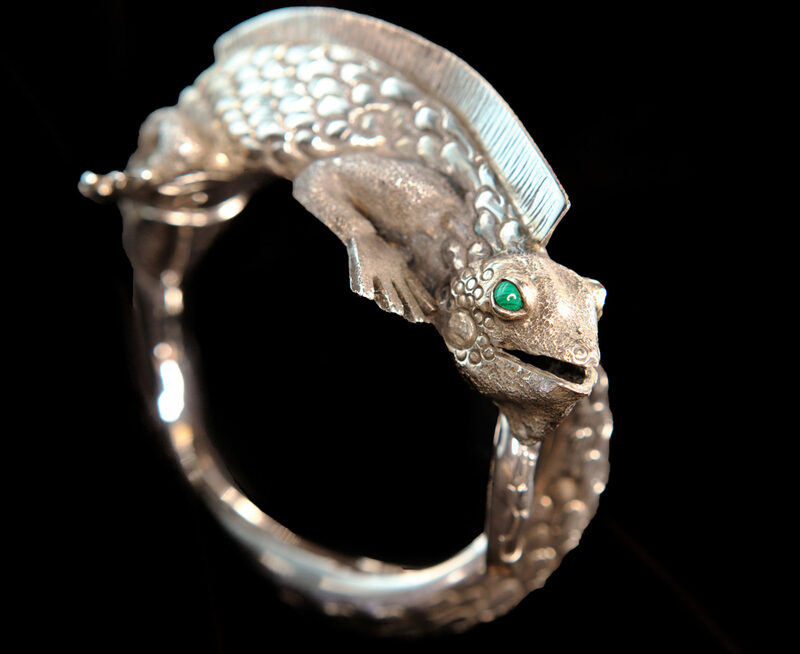 The pendant measures approximately 0.63″ across at its widest point. 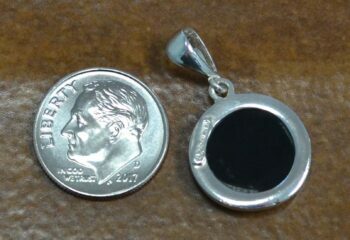 Please note that the dime is not included but shown to help you gauge the size of the pendant. 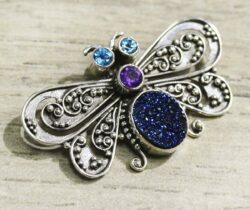 This brand new pendant would make a great gift for cameo collectors or anyone who loves angelic or cherub imagery, carved stone jewelry, or handmade sterling silver jewelry. 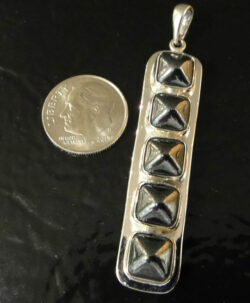 This pendant comes with our original store tags and gift box, great for giving or storage for years to come.